Looking for a luxurious way to invite guests to your wedding? Why not consider having us create a fabulous and unique one of a kind custom calligraphy wedding invitation. 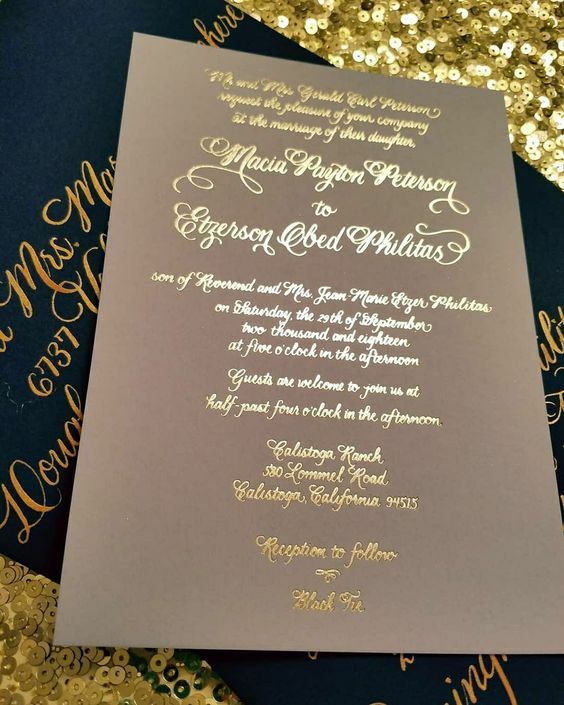 These were done for a special bride and printed in gold foil on grey color thick color stock! 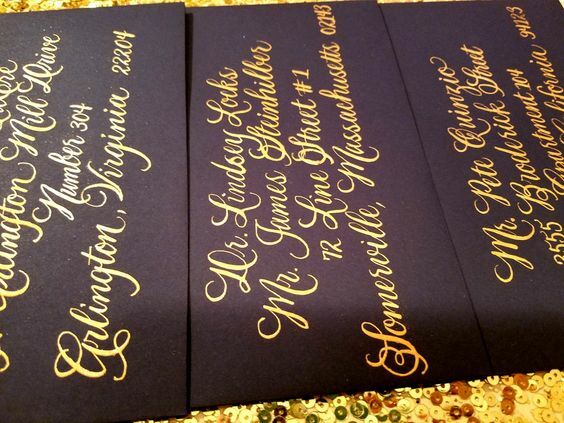 They were paired with navy envelopes that we addressed in metallic gold calligraphy. If you are interested in having us create a unique invitation for you please just simple follow the steps on our Invitation Ordering Process page or shoot us an email.